How much water we drink is part of our daily patterns; our eating habits, our environment and climate, as well as our cultural customs. As busy women, we may not be drinking enough water because we’re too busy or we would rather drink a coffee to wake us up, but how much water we drink greatly affects our health status. “Dehydration substantially increases the burden of health care in a direct way, as a disease itself, or indirectly as a comorbidity of other diseases” (1). In order to improve our health both inside and out it’s important that we understand the importance of water and how it can affect us. These effects of insufficient water intake are particularly concerning for the elderly. As we get older we get less thirsty, therefore we drink less fluids. This leaves the elderly more susceptible to negative health effects caused by mild to severe dehydration. It is recommended that those who are elderly learn to drink water regularly even if they are not thirsty. Another way to combat dehydration is to increase salt intake whenever any sweating occurs (2). This is important for people of all ages. As many of us know, when we exercise we lose water through sweating, so therefore it is easy for us to become dehydrated. This can cause people to experience decreased endurance levels, increased fatigue, and a difficult time breathing. If we rehydrate our bodies while exercising we can reduce or reverse these effects. Sometimes when we exercise we feel as if we don’t need or want water, perhaps if we feel nauseous or too tired. This can cause dehydration to persist for several hours. This is often a concern with young children who are unaware that they need to stay hydrated while they are being physically active(2). 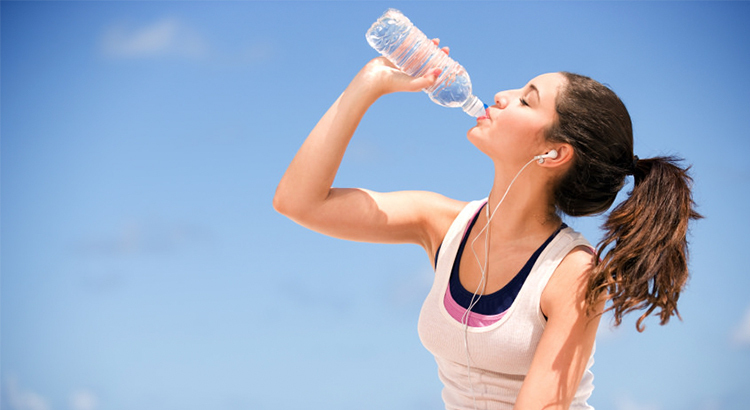 It is recommended that you drink plenty of water before and during physical activity to offset your body’s water loss. Even just mild dehydration can cause disruptions in our mood and challenges in cognitive functioning. These effects can include difficulty concentrating, being less alert, struggles with short-term memory, and overall difficulty performing daily tasks (2). Just like with dehydration caused by physical activity these effects can be reduced or reversed by reintroducing fluids. Drinking water can increase energy levels and improve brain function to help support our busy lives! If you’re feeling tired, groggy or moody, all it may take is a glass of water to boost your mood and increase your alertness! If you experience constipation it could be caused by your water intake. Constipation can be caused by a number of factors such as medications, poor diet, and illness, but water deficiency is often one of the explanations. Increasing fluids can help if you were previously severely dehydrated, otherwise it may only help a little and other medical assistance may be required. Mineral water as opposed to tap water has been cited to improve gastric pain, but not to treat GI function (2). We’ve all probably experienced a headache from being dehydrated. Water deficiency can trigger or prolong migraines. By consuming water you can relieve your headache within a couple of hours, however it can not be thoroughly supported that drinking water can really prevent headaches from occurring (2). Depending on the level of uncomfortableness it may be more beneficial to drink a large glass of water when you experience a headache rather than taking over-the-counter pain medication. Many different factors can affect how much water we are or are not drinking. However, one of the biggest factors is our food and beverage intake. Water is the best way to hydrate our bodies, but with all of our other options for different types of drinks it is also important to understand how these other liquids are affecting our health and providing us with hydration and nutrition. 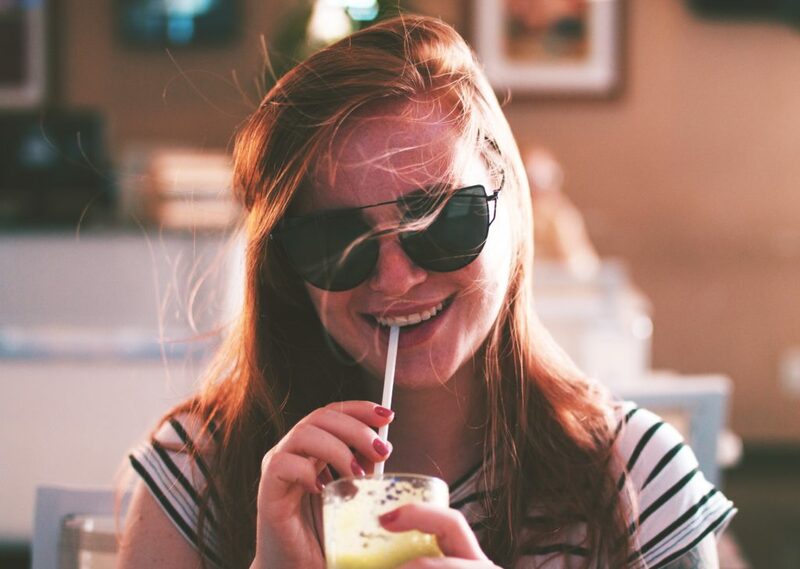 Although drinking other beverages may provide us with other nutrients and properties such as sedatives, digestives, and antioxidants, non-water beverages can also cause negative outcomes. Drinking other fluids, especially in excess, can increase the number of calories consumed or deteriorate mental and physical health, as in the case of excess alcohol consumption (2). It is suggested by health authorities that you drink about 2 liters of water per day (3). This is around 8-9 glasses of water and doesn’t include water intake that might be coming from other beverages or food. This might mean that you should drink water even when you’re not thirsty. There is no exact number that can tell you how much water to drink that will give you perfect health, but what we recommend is that you drink what is creating the best outcome for you. It is very important to stay well hydrated throughout the day. Water loading is not healthy either, so drinking all 8 glasses at once would not be good. If you are feeling good, energized and healthy drinking sips of water consistently throughout the day or having several glasses of water spaced out periodically then by all means do that. Just drink enough water that you know you are healthy and that you are feeling good. Drinking enough water is an easy and simply way to empower yourself to take control of your own health. Water deficiency can affect anyone, whether we notice it or not. All of us our probably guilty of not drinking enough water in our day-to-day lives. It is important that we take charge of our own health by controlling how we feel outside and inside with proper water intake. 1. Nissensohn, M., Sánchez-Villegas, A., Galan, P., Turrini, A., Arnault, N., Mistura, L., … Serra-Majem, L. “Beverage Consumption Habits among the European Population: Association with Total Water and Energy Intakes”. National Center for Biotechnology Information. U.S. National Library of Medicine. 2017 Apr; 9(4): 383. 2. Popkin, B.M., D’Anci, K.E., Rosenberg, I.H. “Water, Hydration and Health”. National Center for Biotechnology Information. U.S. National Library of Medicine. 2010 Aug; 68(8): 439-458.